One of the big reasons for the video game industry not having been as harshly impacted in this dreadful economic recession is the nature of video gaming. Specifically, the replayability of most video games. For the price of, say, Grand Theft Auto V (approx. $60), you could go see 6 movies in a theater by yourself...or take 4 friends and see one movie and maybe share a popcorn. With games such as GTA V, you can play for over 100 hrs and still find new things to do in some cases. 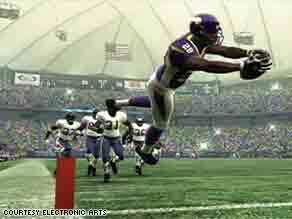 Other games, say Madden NFL 08 or what not, you can play with friends for a long time and garner enjoyment. With this economy, people have to think about the amount of entertainment gained versus price paid. Video games will do well and continue to do so, while other entertainment industries will suffer somewhat. I agree with Edward. I purchased Warhawk for the PS3 early this year and have been able to spend hundreds of hours and still remain entertained by the always evolving downloadable content provided by Sony. Games just seem to be a less costly form of entertainment for our generation in the long run, especially with gas prices so high, who wants to drive anywhere?! Exactly. A single $50 game can provide hundreds of hours of entertainment for a whole group of people. If you cannot afford to take a trip, what are you going to do? Instead of paying $4000 to take a family vacation you can spend $400 and play video games at home. I agree with all the above. Over and over again. But what the others forgot to mention is the pure 'escape' of playing a good video game. Immersing my 43 year-old self in a good game like Call of Duty, Crysis, Far Cry, Bio Shock (I could go on all day) – it transports me and makes me forget our crumbling economy, our pathetic presidential candidates, the way oil and greed are ruining our world (again, I could go on all day) for a moment. That, my friends, is worth it's weight in virtual gold!